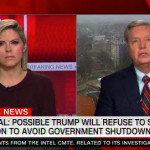 Just as White House press secretary Sarah Huckabee Sanders announced that President Trump didn’t want to go any further without border wall funding, Sen. Lindsey Graham (R-SC) encouraged Trump to “dig in” and “force” lawmakers to give him wall funding instead of signing the continuing resolution. 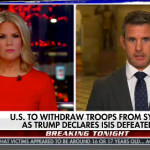 Several Republican lawmakers have made it publicly clear that they were caught off-guard and not pleased with President Donald Trump’s decision to pull U.S. troops out of Syria. 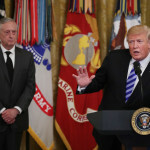 And behind closed doors, Trump — apparently influenced by a phone call with the President of Turkey, who criticized U.S. involvement in Syria — went against the advice of some of his most trusted advisers and high-ranking officials, The Washington Post reported. 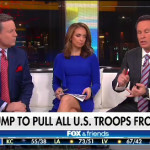 President Trump has been roundly criticized on Twitter for a video he posted, suggesting fallen American soldiers would agree with his decision to pull U.S. troops out of Syria. 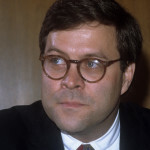 At least one Republican congressman has joined in that denunciation. 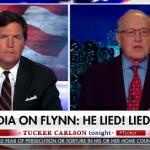 Harvard law professor Alan Dershowitz — who has become well known for his praise of President Trump — interrupted his interview on Tucker Carlson’s show Wednesday night to tell Carlson he disagreed with the way the Fox News host had described mass immigration recently. 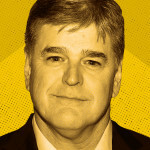 At President Trump’s rallies, Sean Hannity has become a staple figure: he signs MAGA merch, hosts live shows from the crowd, and even appears on-stage with the President, touting his foreign policy and America-first agenda.